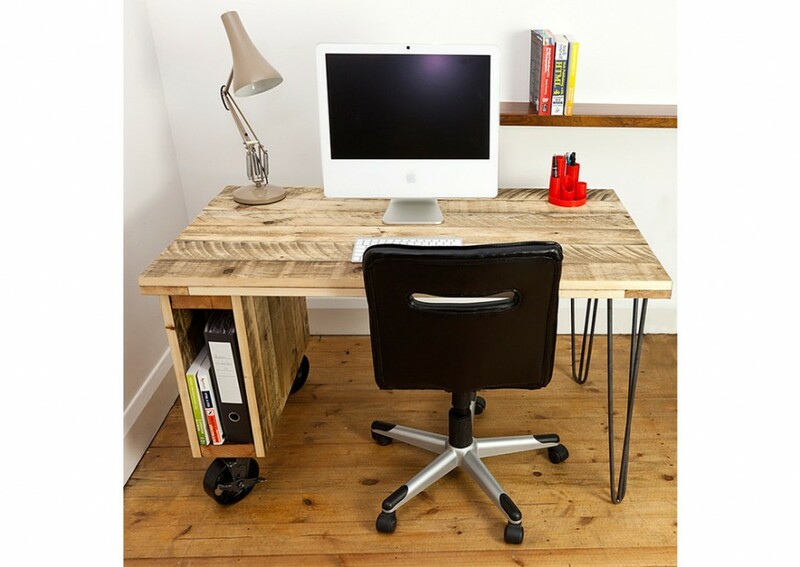 Work Space Inspiration with Homify! I am not the most organized person when it comes to maintaining my room or my wardrobe. Even though I do try to maintain it a certain way, it almost always goes back to it’s own chaotic self in matter of hours. But there is a certain order within that chaos. It might seem messy to a third person but I still know where every single item that I need is, and everything that is of immediate need is within my hand’s reach. So it’s more like everything is spread out in a chaotic orderly manner! Even when traveling, just half an hour in a hotel room is enough for me to make it ‘my space’. The way I spread my things all over, you’d think I’d been living there for at least a week! But when it comes to my work desk, I need it to be as organized, neat and minimal as possible. I spend more than half of my work life at my desk answering emails, taking calls, prioritizing my calendar, writing and editing posts, building up my database, networking on social media sites, creating schedules for new posts and so on, and the rest half planning and shooting outdoors, going to stores to source clothing and attending meetings and events. I was looking at re-doing my workspace, when I came across Homify, an online platform for architecture, interior design and decoration, that provides you with the right kind of inspiration for home décor, ideas for unique spaces, right from the planning stage to implementation. I put together a few design ideas that I absolutely loved from their website! Bright spaces inspire bright ideas. Sitting in a dull, poorly lit spot is a sure-shot way to kill your creative brain cells. Even if it’s a small area, bright natural light flooding in, not only makes your space look pleasant but also makes it easy for you to work in. Your work space is still your space. There needs to be an element of your personality as well. Whether you work in a creative field or a much more conservative corporate environment, adding interesting details like a color blocked wall, a tall painting or your favorite decor items for a personal touch warms up the place. This might be a personal preference but my work space would by default, include a mini-library with my favorite books, so an interesting bookshelf is a must! 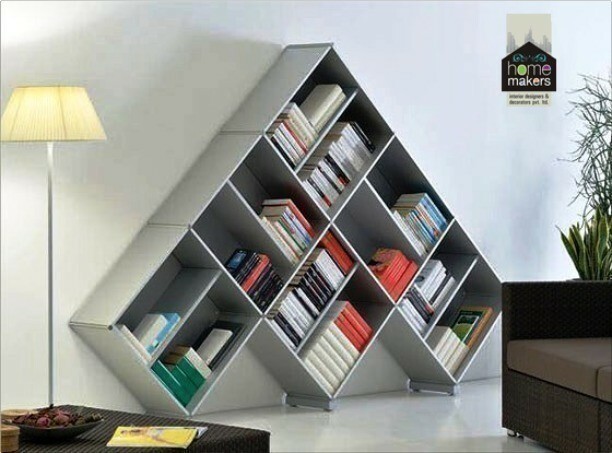 Be it your favorite novels by your favorite authors, a few coffee table books, biographies by your favorite personalities, or books related to your subject/area of work – they are a must! Anytime you want to take a break from work, or need a little inspiration or a few ideas, pick one off the shelf and start reading! If you lack space for setting up an entire room for your office, a small nook in your bedroom can be converted into your work space. It doesn’t have to be anything elaborate, but having a space (however small) dedicated for work, can help those cravings to take a nap or slip into a movie-watching-mode, when you try to work when in bed! 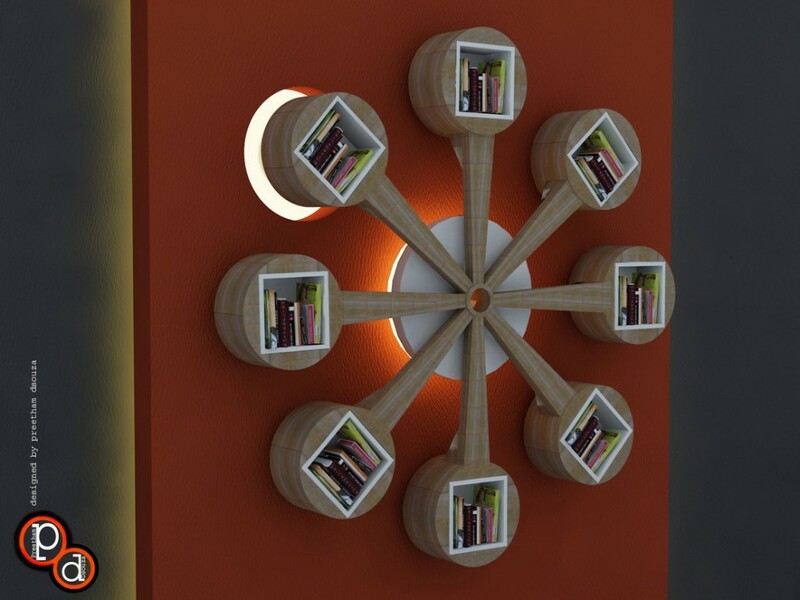 Hope these ideas inspire you in pepping up your work space!